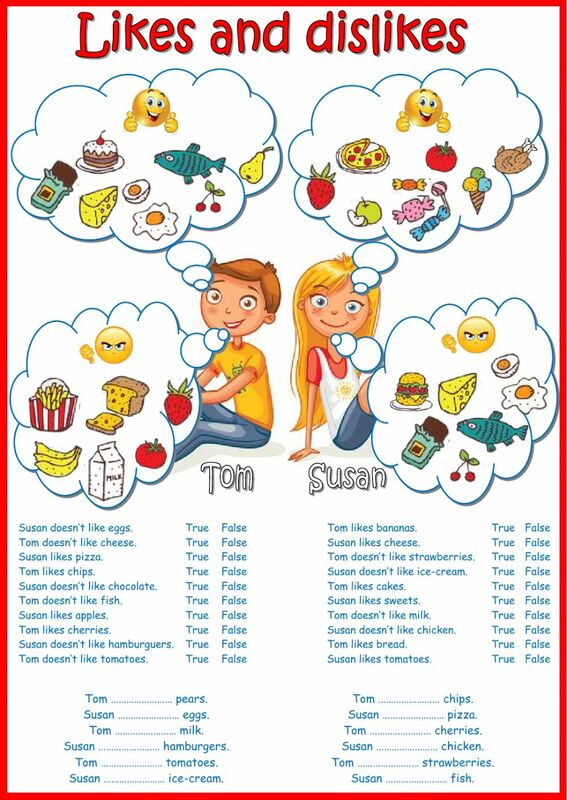 Very simple worksheet for beginners to practice food vocabulary and the expressions "likes" and "doesn't like". Great! !!!! I just found out this link between the new posts on ESL and here. Victor your are more than a wbmaster, you are a magician. I am speechless each time something new comes out of the box. You are fabulous ! Should have met you earlier ! Thanks soooo much! Wonderful job! Thanks, teacher! It's very nice! I'm here just for 10 minutes and all your works are amazing. Thanks a lot. By the way it's Teachers Day in the 24th of Nov in Turkey. Happy teachers day.